Codemasters’ 2009 off-road racing game continues its reign as the token racer in our benchmark suite. As the first DX11 racer, DiRT 2 makes pretty thorough use of the DX11’s tessellation abilities, not to mention still being the best looking racer we have ever seen. 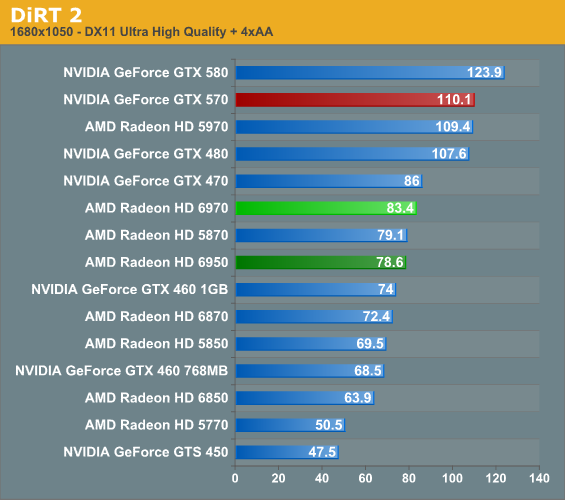 With DIRT 2 we’re back to another game that heavily favors NVIDIA GPUs. 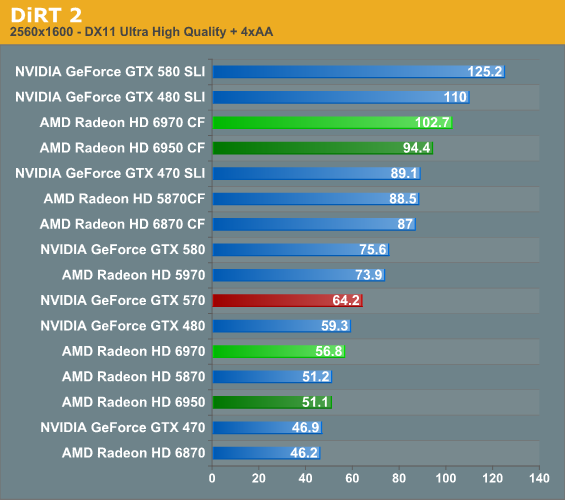 The 6970 can at least close in on the GTX 570 at 2560, but at 1920 all bets are off. 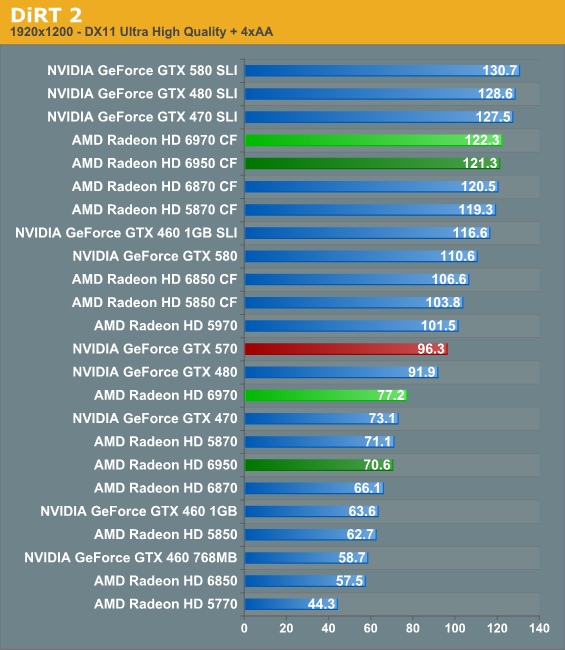 Meanwhile the 6950 gains practically nothing over the 5870, even though DIRT 2 is a game that uses tessellation.